Paper? Stationery? Folders? Are these things needed in an era of technical achievements like laptops, tablets and smartphones? Of course they are! Especially for those who spend most of their time studying. Why would you carry notebooks, folders and pencils on the bus or plane form your home country when these things are readily available, at a big discount, at Stay as Home’s stationery partner KeS Paper? We offer a huge selection in several shops, both in central Budapest and in shopping centres. 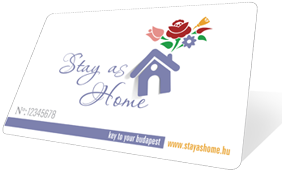 If you choose to buy on the Internet, you get the same discount in KeS Webshop, and you can have the items you order delivered to you place in Budapest. If you like taking pens in hands before buying them, or you take pleasure in pens, don’t miss to visit our shop on József körút, where you will find a small museum with wonderful and valuable pens! Our slogan: Graphomaniacs are welcome!